Corby, United Kingdom, 1st August 2017 – Ultima Displays, a leading one-stop solutions and hardware provider, has welcomed a Durst Rhotex 325 system at its UK headquarters in Corby, Northamptonshire. The installation of the new system is part of Ultima Display’s Centre of Excellences across Europe, where the company serves more than 6,000 dealers across 28 countries. The new dual-purpose printing system combines direct-to-textile printing with dye-sublimation transfer printing technology in a 3.2 meter wide machine. Depending on the application and fabric, the printing system can instantly alternate between the paper transfer and the direct printing function onto polyester-based materials. This enables Ultima’s customers to take advantage of unrivalled print speed and photographic quality for the printing of all their soft graphics and signage requirements. The quality and performance Ultima Displays can now offer its customers is possible thanks to the new Durst WTS print head technology, which achieves an exceptionally high-quality print using water-based dispersion inks for a wide range of printing materials, with a printing speed of up to 350 m²/hour. No additional steps are required before or after printing to ensure an environmentally friendly and 100% Volatile Organic Compound (VOC) – free printing process. The robustly built Rhotex 325, the result of Ultima’s successful partnership with Durst, a world-leading manufacturer of digital production technologies, is equipped with an integrated hot air dryer, automated nozzle cleaning system and additional features for 24/7 production. 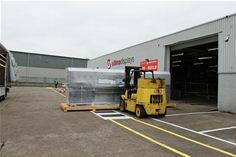 Ultima Displays has already installed a Rhotex 325 system at its offices in Nantes, France, as part of its three-year, £1.7 million investment plan, and has plans to roll two more out in Gdansk, Poland, and Padova, Italy from next year. For further information, please visit http://www.ultimadisplays.co.uk/. Founded in 1970, Ultima Displays provides products and services including roller and tension banners, POS signage, backwalls, modular solutions, cases, lighting and counters. Its printing capabilities covers dye-sublimation and UV work for dealers. It is part of the P3 Group, which has a $130million turnover for its global one-stop-shop operations. With companies across Europe, Ultima Displays is able to provide support and supply that is tailored to local market needs. Ultima Displays currently operates from UK, France, Italy, Poland, Spain and Portugal, while also servicing all other EU export markets from the UK, France, Italy and Poland. Ultima Displays also has sister companies in the USA (Orbus Inc.) and Canada (Ultima Displays Canada).